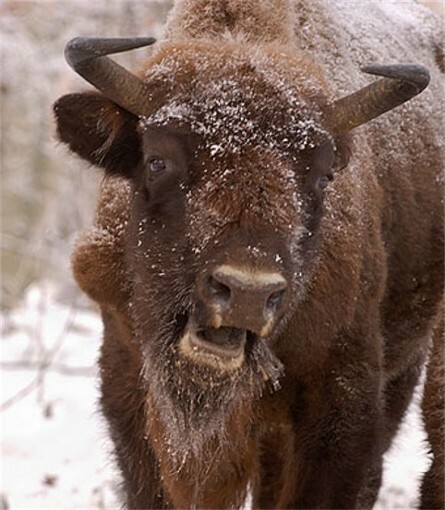 European bison or Wisent (Bison bonasus; Ukrainian: zubr). A bovine, herbivorous mammal having a large head, heavy forequarters, relatively light hindquarters, a large hump on the withers and back, and a shaggy, chestnut-colored coat. It is the largest animal in Europe—up to 3.5 m in length, 2 m in height, and 1,000 kg in weight. 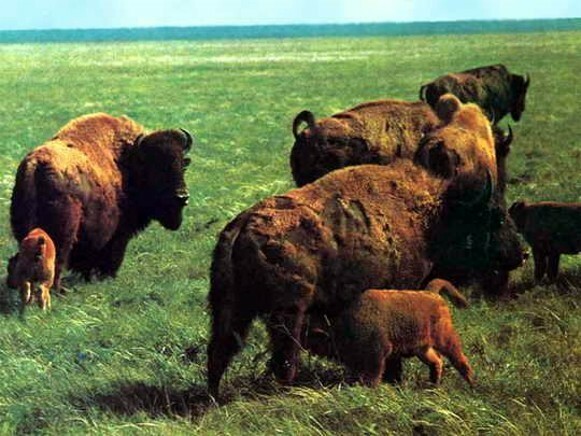 At one time the bison inhabited almost all the forests of Eurasia. 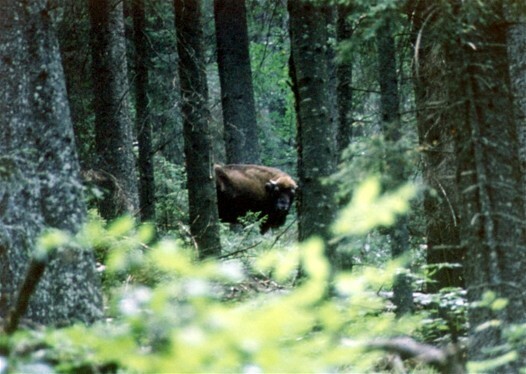 In Ukraine it was found in the forest and forest-steppe belts of the Carpathian Mountains, the Crimea, and northern Caucasia (Bison bonasus caucasicus). It was almost exterminated and up to 1914 survived in a wild state only in the Bilovezha Forest (700 head) and northwestern Caucasia, owing to the efforts of the Russian government. After the First World War only 48 bison remained. It was declared an endangered species and kept on preserves, and consequently their number increased. Small herds were established in 1965 and 1967 in Lviv oblast, Volhynia oblast, Kyiv oblast, Sumy oblast, and Rivne oblast. 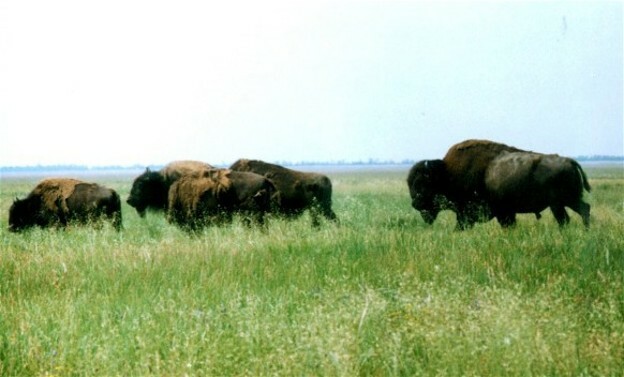 The bison has been crossbred with the American bison (buffalo) in the Askaniia-Nova Biosphere Reserve. A referral to this page is found in 7 entries.